Fall Into Books: CLANDESTINE by Hannah Rials Blog Tour! 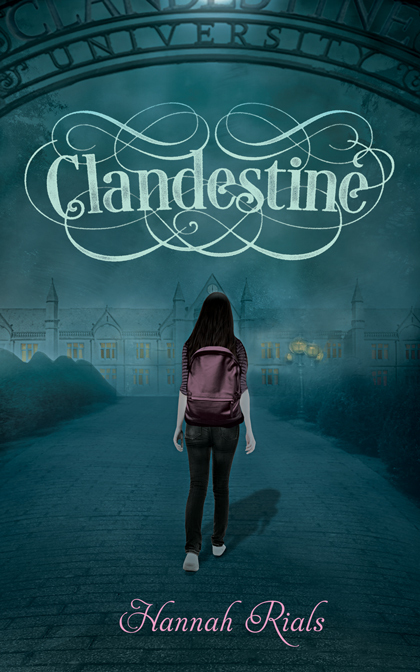 CLANDESTINE by Hannah Rials Blog Tour! I am super excited to host Hannah's books on my blog this week! She's a local author for me. Maryville is a suburb of Knoxville, where I live and go to school. Thank you for sharing your beautiful books with the world, Hannah! Prisoners. Me. Anne. We’re actually prisoners. Held captive by our own families. For our own good? My brain’s still having a hard time processing all this insanity, and we’ve been trapped in here for a week now. No word from Eli or Mason, or even my parents, who apparently support this. I keep asking myself how they can let this happen, how no one is speaking up against this, and I can’t come up with a good answer. This is all ridiculous, even for my parents, who I can’t begin to understand. To let their psychotic niece imprison their youngest daughter in order to “fix her” based off some insane plan to overthrow the vampires? Are they so desperate for me to be normal that it’s come to this? I glance at Anne sitting at her desk. many times, but not for lack of trying. Thomas is just too paranoid and thinks too far ahead. Deuxsang are highly discouraged from practicing our abilities on our own kind, but desperate times call for desperate measures. I tried compelling our guards—and I somehow succeeded without any training whatsoever— but we didn’t even make it to the stairs before Thomas stopped us. complicated than it sounds. You just think of someone, see their dream, and slip right in, right? Wrong. Anne got shoved out of so many dreams, and she couldn’t even find Mason. She ended up with a migraine that made her throw up all over the place for a couple days. I really didn’t want to try inflicting, but seeing Anne so sick, paired with my own desperation, made me get over it. It’s been three days, and I’m going mad. I’m normally the one telling her to shut up, but now I can barely get a syllable out of her. It’s like she’s broken. And I get it, I guess. This is all falls back on me. My cousin is the one with the insane, suicidal plan; my family is the one keeping us here. I’m the one they need to “fix.” My boyfriend…ex-boyfriend…is the one who got himself kidnapped. If it weren’t for being friends with me, she’d be cuddled up in some jazz club, listening to Monde Musique and staring all moon-eyed at Mason. Life would be normal. him for it. Now he’s probably dead. Her parents let it happen, but what’s worse, they lied to her about it. How could they do that to her? How could anyone do that? I saw a piece of her break when her mom finally told her the truth. She can’t look at either of her parents now. Again, that’s my fault. As Maryville native and a senior in college at University of Tennessee at Chattanooga, Hannah Rials began writing her first novel, Ascension, at age twelve. 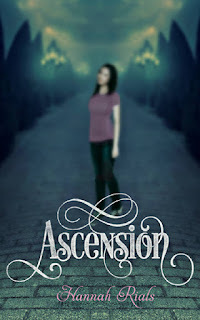 Her first YA novel Ascension is a modern day teenage romance filled with "double-blooded" vampires and revengeseeking witches. 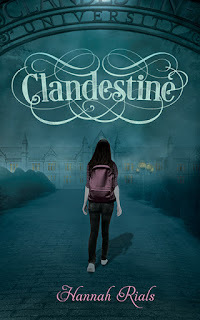 Published by Aletha Press of Maryville, TN, is the second book in the trilogy, Clandestine, was written and editing while she was a full-time college student. After graduating from University of Tennessee at Chattanooga with a BA in Creative Writing, she will be attending college at Bath Spa University’s MA (England): Creative Writing for Young People; a yearlong master’s degree. ARROWHEART by Rebecca Sky Blog Tour! MISTAKE OF MAGIC by Alex Lidell Blog Tour! THE FREEDOM CLUB by Cindy Vine Book Blitz! SEVENTH BORN by Monica Sanz Cover Reveal! !